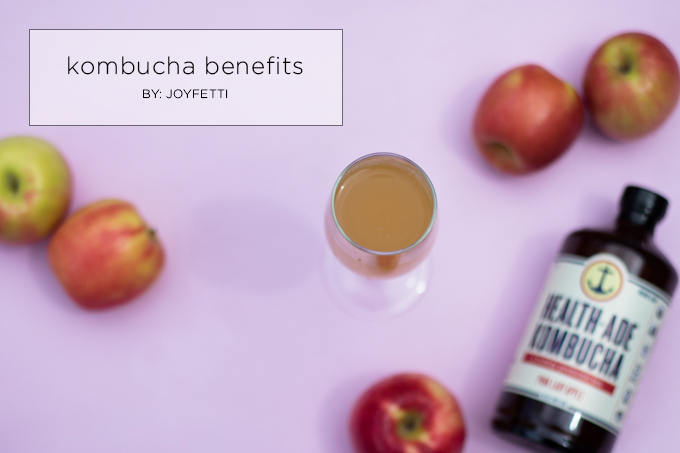 Kombucha benefits… Bring ’em on! A few weeks ago I dreamt someone made a smaller bottle of kombucha & we could buy it in stores. 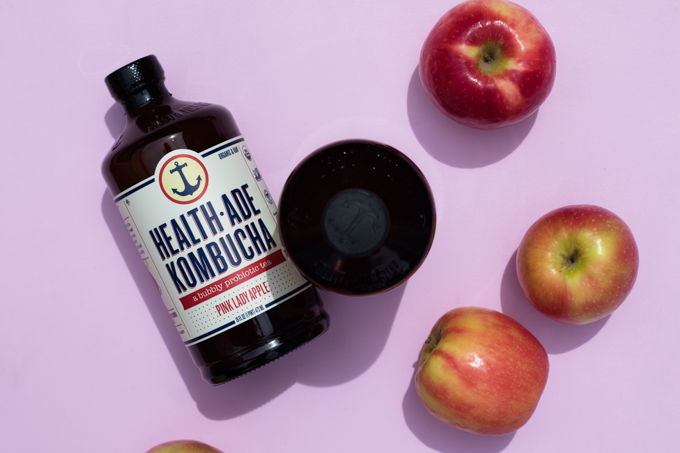 No joke, the next morning I spotted these cute, little bottles of Health-Ade Kombucha in Whole Foods. My dream literally came true. I was so happy. Mostly because I usually can’t finish an entire bottle in a day, and sometimes, sadly, the rest would go to waste if I forgot about it the next day. I hate wasting, so having this smaller option was really exciting. Arrash was confused how a small bottle of kombucha could make me so excited. 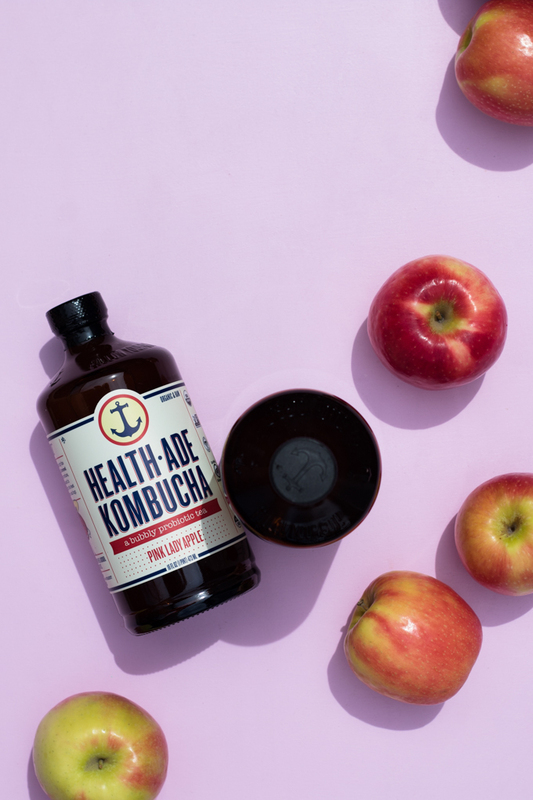 If you guys are already big fans of kombucha (love it! ), LMK what your favorite brands/flavors are so I can check them out. 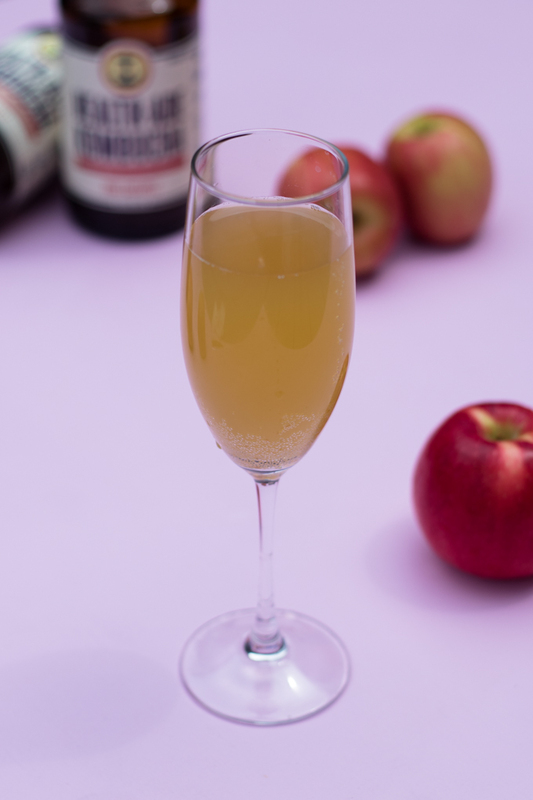 If you’re not familiar with kombucha, here’s a little bit about it. 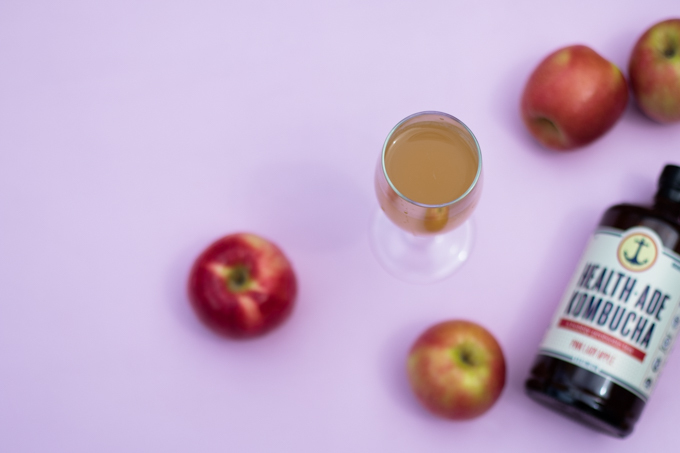 Kombucha is fermented tea that naturally contains probiotics and healthy organic acids. It’s been around for thousands of years. People drink it for all sorts of reasons. I’ve tried to get Arrash & my friend Jodie on board, and they don’t like the taste (yet! I’m still working on them), but I absolutely love it. I even pretend it’s champagne sometimes, which is easy because it has bubbles. With the big bottles, I love pouring it into a champagne flute. It’s the best. 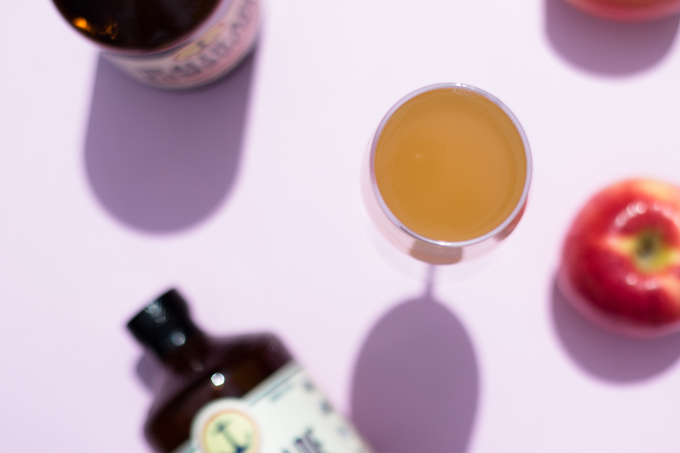 If you drink soda, try kombucha—maybe you can replace your soda for kombucha because of the bubbles. Also… I’m now thinking it’s a good idea to stock both sizes in the fridge because I just finished my small bottle & I want more. Sometimes you just want more than you do other days, you know? I started picking Health-Ade over the other brands mostly because of its taste but as I did more research, I was really impressed with them & happy my tastebuds picked them. 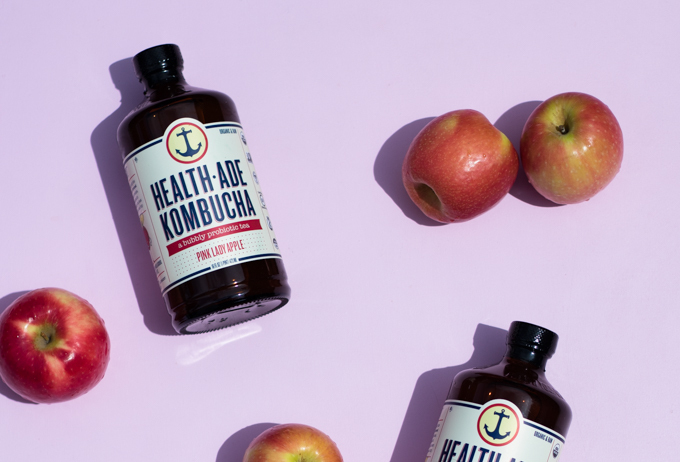 Their kombucha is 100% raw, and they only use cold-pressed juice from organic produce. I also love how they share a ton of info about their production process, on their site—they’re very open about it, which I like. Also, their kombucha is fermented 100% in glass to prevent plastic and metal leaching. I really like that! The only thing I wish they’d share, that I don’t believe they currently do, is how many live cultures are in each bottle. That would be really fun to know. I’m off to clean the house a bit & maybe open up another bottle ; ) Happy (almost) Friday! Cheers!